Facebook: It’s easy to be a fan of this friendly blog-style network. You can add friends, post pictures and videos, chat with long lost classmates and save BIG on Facebook! Once you set up your personal profile, making sure to update security settings as to who can view your information, you’re on your way to thousands of manufacture websites full of free products and coupons. If there’s a product you love, chances are it’s got a Facebook page. Use the search function to seek out the brand and click to become a fan. All manufacturer Facebook printable coupon offers and product samples require you first become a fan before the appropriate links can be activated. Check the top button bar for coupon or promotions tabs and enable live news feeds if desired. You’ll be kept up to date on the latest and greatest for your favorite brands. You can even share your coupon and free sample finds on your personal Facebook page with friends and family. You can become a fan of savvyshopperdeals.com at http://www.facebook.com/savvyshopperdeals. Twitter: While at first I admit I found this network frivolous and silly – posting 140 character or less updates called “tweets” – I’ve since found it a useful tool in my savings repertoire! One of the things I love about Twitter is the ability to research hot topics by following other good deal bloggers. You can even set up a favorite tweets lists and follow your favorite deal finders all in one tab. Sharing your ideas with others in this streamlined medium allows you to instantly connect with other bloggers and websites that share your love of savings. Searching for keywords like “coupon” or “saving money” will lead you to a myriad of tweets overflowing with money saving tips and ideas. Twitter couponing sites like @redplumeditor or @allyou regularly update their profiles with printable grocery savings and even money management articles bound to stretch your spending budget. One caution, “tweets” spread quickly, or as some say, viral – so once a great deal has been posted, your best bet is to jump on the bandwagon immediately to capture all the possible savings. Connect with savvyshopperdeals.com at http://twitter.com/TheSavvyShopper. 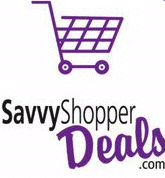 SavvyShopperDeals.com: With hundreds of savings offers, freebie finds and grocery savings forums, www.SavvyShopperDeals.com is the place to maximize your savings! We work hard scouring the sale ads and internet compiling savings data for thousands of brands and products all to save you time and money. Whether interacting with local shoppers to post hot savings deals or signing up for email savings alerts and Friday Freebies emails, you’ll find social media at it’s best at SavvyShopperDeals! Search our forums for Grocery deals, product samples, amazing recipes, preparedness tips, entertainment savings and free meal offers and more. For all the best deals and savings value, visit www.SavvyShopperDeals.com, your source for savings! I know, I for one, throw away a large amount of packaging, whether from groceries or other goods on a weekly basis (and even more over the Christmas holiday)! After having my kids jump on the top of the bags of garbage in my trash can, so as to fit even more trash in over Christmas weekend, I pondered how the recycling process works and how it could benefit my family and my community. Beyond recycling all my extra newspaper at my children's schools and having my home insulated with recycled newspaper, I wanted to find out where all that packaging goes and how my family and community could benefit from recycling. So, I recently toured the Waste Management recycling facilities in West Jordan, Ut. where they ask consumers to “reverse the way you think about waste”. Looking Savvy in my hard hat and reflector vest. Americans and enough fuel to provide heat and cool more than 65,500 homes for one year! It's just my two cents, but it pays to recycle and it's starts with us. Americans throw away 474,949,019,204 pounds of water a year before recycling. Where there is waste there is opportunity! To find out if recycling programs are available in your community visit www.thinkgreen.com and reverse the way you think today! Heat oven to 350 degrees. Mix together cake mix, eggs and oil. Mix in peanut butter. Stir in peanut butter morsels. Pat the mixture into an ungreased 9x13 pan. Bake 15-18 minutes, or until golden brown on the edges. Let cool 30 minutes before serving. Store covered. 1. Heat oven to 350 . Lightly flour and grease 13x9-inch pan, or spray with baking spray with flour. 2. Beat cake mix, oil, eggs and sour cream on low speed 30 seconds, then on medium speed 2 minutes, scraping bowl occasionally. Spread HALF of the batter in pan. 4. Bake 44 to 48 minutes or until deep golden brown. In another bowl, stir powdered sugar, milk and vanilla until thin enough to spread. Prick surface of warm cake several times with fork. Spread powdered sugar mixture over cake. Cool completely, about 1 hour. Store covered at room temperature. Mix cake mix, butter, eggs, sugar and vanilla. Stir in chocolate chips. If batter is too sticky (because your butter was too soft) add 1/4 c. flour if needed for consistency. Bake at 350 degrees for 10-13 minutes or until golden brown. “If any leftovers make it past the initial baking, save in an airtight container as they do tend to dry out quicker than other cookies”, says Lisa. Boxed cake mixes cost pennies but certainly add up to great savings. Pull a mix off your shelf and try some sweet savings tonight! Sore Throat Relief: First, let me say that I have been made to use this home remedy more times than I'd like to remember, and every time I wanted to gag! But, even the American Academy of Otolaryngology (ENTs) recommend its' use, so I won't disagree! Mix 1/4 tsp. salt with 1/2 cup warm water and gargle several times a day to relieve mild sore throat discomfort. To make the dough, mix the flour and salt in a large bowl. Add a little water at a time, mixing as you pour, to form a ball. Knead 7-10 minutes until the dough has a smooth, firm consistency. To prevent drying, place the dough in a plastic bag. Sculpt your design and let air dry for 48 hours or bake at 325-350 for 30 minutes or until the surface turns a light golden brown. Mix 1 cup flour, 1/2 cup salt, 2 teaspoons cream of tartar, 1 cup water, and a few drops of food coloring (optional). Cook over medium heat, stirring constantly, until the mixture is thick and lumpy. Cool slightly and then knead in 1 or 2 drops of vegetable oil. Store in a sealed container when not in use. Salt is definitely worth its' weight as a multipurpose household tool and you just can't live without it! Stock up on this pantry staple the next time you find a great sale! Be Resolved to Not Be Perfect! Well, I made a horribly difficult New Year's resolution for 2010 in addition to the American standard of losing 10 pounds: NO CHOCOLATE for an entire year! I mean it! No dark, rich and mouth wateringly exquisite chocolate nor any artificially flavored imposter shall pass my lips for 365 days! Absolutely CRAZY, I know. But, it's the point of it all: to prove my resolve and let my will control my wants. Plus it helps with the first goal and is the only way I could keep myself from eating it everyday! You may have set an outrageous goal for yourself as well and now, after only a few days in, are wondering how you'll ever make it. It's just my two cents, but I believe one of the biggest problems with goal setting is being overly critical of our perceived failures no matter how grandiose the objective. Setting difficult goals should inspire us to try harder, do better and reach higher. There should be bumps along the way! It's moving past those stumbling blocks that make us stronger and more determined in our resolve. BUT, no one is perfect! While I can be a bit obsessive in my quest for perfection, the weight of trying to be perfect wastes time, saps strength and is simply depressing. There has to be room for error and credit for partial successes! As a mother of young children I've found that setting smaller goals, and using them as stepping stones is essential for long-term success. Being organized in our homes is likely a goal most of us share. Being perfect would be awesome; oh I relish that thought! 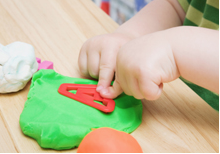 And, though I do scrub my tile floors with a toothbrush on occasion, I can't be Super-Mom all the time! Organization in life comes in spurts, a little at a time. Take it when you can get it and relish those moments too!